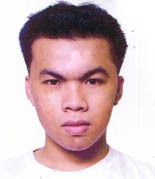 Jerald is a member of Minority Care International (MCI). He is currently an active member by being involved in study forums initiated by MCI along with other activities of MCI. Levy Regidor is a new member of Minority Care International (MCI). She is currently an active member by regularly attending the study forums of MCI along with other activities initiated by MCI.